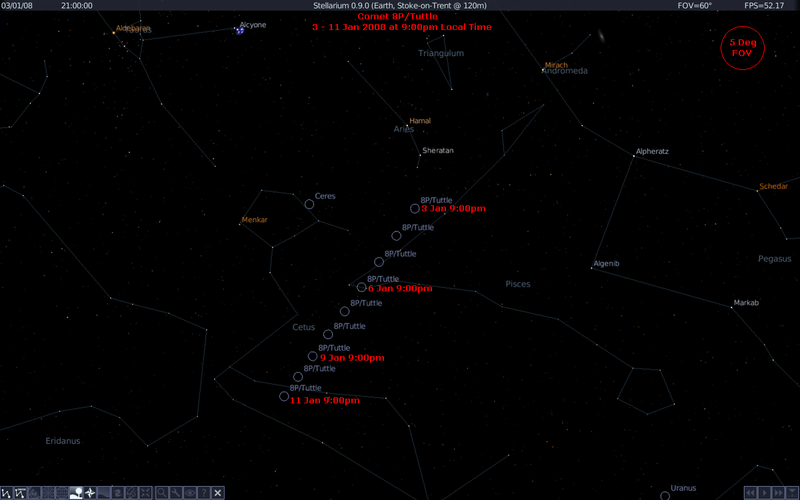 The chart shows the path of 8P/Tuttle between 3 - 11 January 2008, set for 9:00pm local time as viewed from the UK. Maintained by Jeff Stevens. Last modified 28th December 2007.